Ranger’s Trailblazer – A great jungle item for sustaining in the jungle. Skirmisher’s Sabre – A great jungle item for dueling; typically the enemy jungler. Stalker’s Blade – A great item for ganking in terms of slowing an enemy champion. Enchantments (Left to right, top to bottom) – an enchantment is a gem you can apply to any of the jungle items mentioned above. Can only apply one. Here are the options: Cinderhulk (green): good tank stats and passive AoE burn, Devourer (purple): good stats for Attack speed AP champions, Runeglaive (blue): good stats for any AP champions, especially on-hit AP Champions, Warrior (red): good stats for AD champions. Sightstone – Provides health and wards. Very useful for getting vision while jungling. Locket of the Iron Solari – Great for providing AoE Maigic Resist and a small active AoE shield. Spirit Visage – Provides health, magic resist, cooldown reduction, health regen and increases healing from all sources. 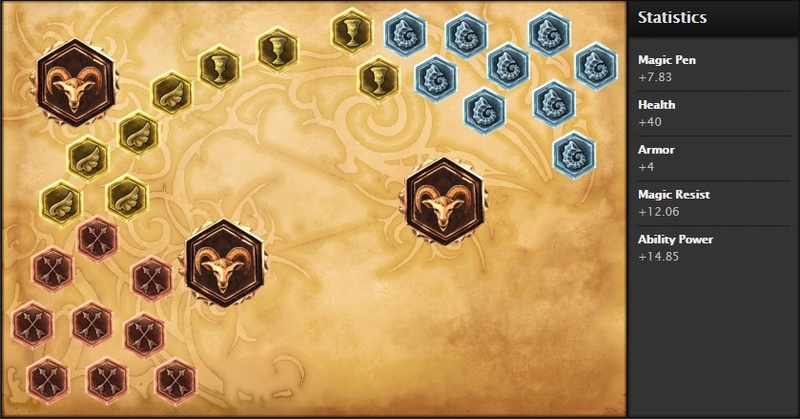 For my runes it could vary depending on the champion but I pretty much go with damage plus attack speed (x9 Damage Marks, x1 Damage Quint, x2 Attack Speed Quints) and defense (x4 Flat Armor Seals, x5 Scaling Armor Seals, x9 Scaling Magic Resists Glyphs). An alternative rune page I have is for hybrid junglers which has defense (x9 Armor Seals, x 9 MR Glyphs, x1 Armor Quint) and hybrid damage (x9 Hybrid Pen Marks, x2 Attack Speed Quins). Lifesteal is another option you can go for. For clearing camps, usually (if there’s no Level 1 invasions), you’ll want to start around Gromp and Ancient Golem for a good supply of mana and level 2. If starting at Gromp, smite Gromp from the poison when struck bonus. From there, work your way to Elder Lizard and clearn another camp if possible. This should give you a sufficient amount of time to get both your buffs without the enemy jungler trying to counter gank you early to steal one of yours. If they try to, you’ll be around in time for a chance to stop them. Clear other camps as they come up. You should be earliest around level 3-4 to gank. If you’re on a manaless champion, starting at Elder Lizard or Krugs could be a better option because you’re not mana dependent. Smite Krugs for the stun on 5th attack bouns. Usually blue buff is donated the 2nd time around to the mid laner (if they need it) and red buff to the Marksman when they can find time to get it. Of course if you’re on a really mana dependent jungle champion or behind in level, you might need your buffs till you build a good mana regen item or you’ve caught up. Around the 8 – 13 minute gap is usually a good time for Dragon, be sure to have your Smite skill ready. Usually you’d want to gank bot or make sure bot lane is pushed to make sure the bot lane doesn’t interfere with you getting dragon (if it’s standard lanes). It is also why most junglers tend to camp bottom lane in the early phase of the game; to protect the dragon. Try to visually analyse the DPS that’s going down on the Dragon / Baron by viewing the health drop. Also check the damage your Smite does (Smite’s damage increases per level). When the Dragon/Baron gets to or less than that health immediately smite to secure the Dragon/Baron. Getting it just right takes practice and you could accidentally pre-smite and miss so you could practice smiting Dragon/Baron in bot matches. This next bit is very important for junglers to know. 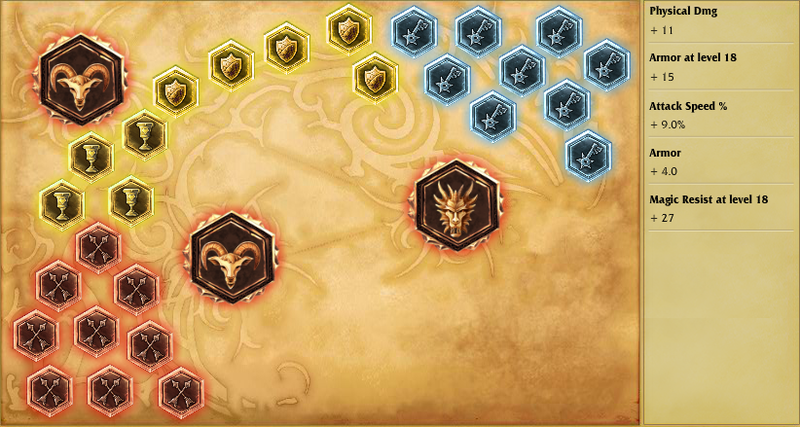 Your Smite summoner skill is mainly used to secure jungle objectives; mainly blue buff, red buff, dragon, and Baron. Smite Razorbeak for Oracle in order to spot wards. For laning phase it’s fine to use Smite for ganks if you have Skirmishing Sabre or Stalker’s Blade. In the mid to late game you do not want to use your smite if your next move in a few minutes is to go get Dragon or Baron. You should be working with your team on protecting objectives for the most part in the mid to late game. Despite the better cooldown on Smite, not having smite up gives the other team a chance to steal Dragon or Baron away from you. 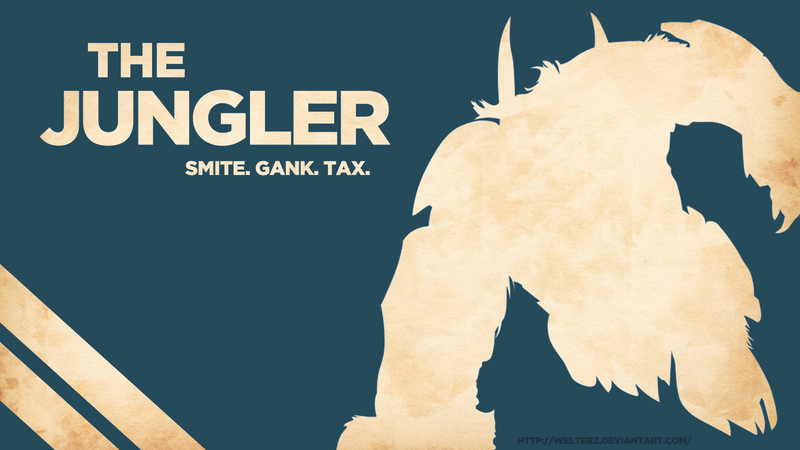 Enemy junglers may try to invade your jungle as well to steal your red or blue buffs. Try to have smite to last hit to secure your buffs. Of course, early jungle clears you can smite the big monster of the camp in order to speed up your clear. I guessing you might need a bit of help with jungling and invading paths so… here’s a picture! Anyways! The blue arrows signify lane ganks, purple arrows are “from behind” ganks. Red arrows signify river ganks. Yellow arrows are the invasion routes. Note that the ganks arrows are gank routes. They’re meant for ganks, not for supporting the lane if it gets pushed to tower for example. These gank routes are meant to have the element of surprise (unless the area is warded) and a way to close the gap so that you can CC and or damage the enemy laner. So it should result into the enemy laner at the very minimum taking damage, decent gank if their summoner skills (like Flash) were used to escape. Of course if you kill them it’s great. If they used summoner skills in either case it means that they’re vulnerable for another gank a bit later that will probably result in a kill. Note that Flash has a cooldown of 5 minutes so you may want to consider ganking that lane again in the next 3-4 minutes. Now about the invasion routes. Basically you invade and retreat from and to the river. Place at least one ward in a likely place an enemy would pass by. Be quick if you’re stealing blue/red buff and you don’t know where the jungler is. Again, invading when all your lanes are doing moderately well, can steal buffs or some camp minions quickly, or if you can 2v1 with an ally in the jungle. You’ll probably see this every now and then in your solo queue games but you’ll see this if you watch the League Championship Series. There has been a bit of an evolution to the level 1 – 3 phase. If the bot lane are on opposite sides of the map, it’s best to have the top laner jungle with you so that they can get experience to stay relevant in the game. At some point, you’ll have to get your bot lane to match against the enemy bot lane so that the game has standard lanes again. A guide on how to avoid or to take down opponents that dare try to oppose you: The Solo Mid! Learn how to push, farm and harass – Unlike bottom lane, you do not have a support. You’ll be focusing on farming early. 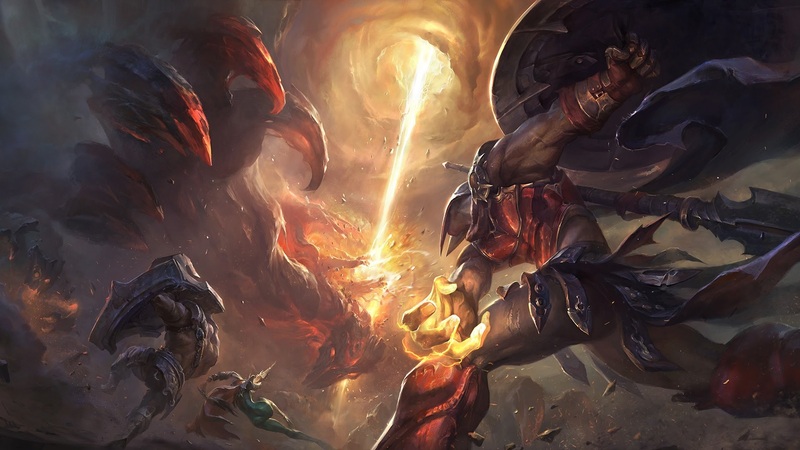 However, you’ll have to include dealing with harass, harassing the enemy laner and learning when to go for a kill in the laning phase without dying given the enemy laner’s champion crowd control, skill cooldowns, damage, summoner spells, if you’ll have to dive enemy tower if you are going to dive and if the enemy jungler is around. I find mid lane is more about variables to consider then mechanics (although you’ll need those to play well in lane). Again, just a small disclaimer, I’m not a pro mid player, but I do have a ton of experience in all the positions. These are just some general guidelines that new players need. Void Staff – An item that gives the champion ability power and percentage magic penetration. Usually you build this if the enemy team has a considerable amount of magic resist. Liandry’s Torment – An item that has great magic penetration and does extra damage over time for a short duration on an enemy champion that you cast a spell on. Rylai’s Crystal Scepter – An item that gives you ability power, health and slows an enemy champion that you cast a spell on for a short duration. Deathfire’s Grasp – Great for additional burst. It amplifies magic damage an enemy target takes when used. Abyssal Scepter – Gives the champion ability power and magic resistance. It has an aura that reduces the magic resist of enemy champions. Zhonya’s Hourglass – Great for delaying, avoiding burst damage, or mitigating over time damage. When used, the champion becomes immobile but invulnerable for a few seconds. Archangel’s Staff – Great for mana hungry champions. At max stacks it transforms into Seraph’s Embrace that, when activated, grants a shield to you based on your current mana. Rabadon’s Deathcap – A standard ability power item that gives you additional ability power based on your base ability power. Lich Bane – Gives the champion ability power, mana and movement speed. When the champion uses an ability, the next basic attack does additional magic damage based on the champion’s ability power. Summoner Skills that I generally use are Flash and Ignite to stay safe and to secure kills respectably. Sometimes I’ll use Exhaust, Cleanse or Heal if it fits the lane situation or the team composition. So there are a few setups I have for mid lane. Mostly because you can play a caster with magic damage or an assassin which is attack damage or a hybrid of both magic and attack damage. Feel free to use these as a base in order to make your own Solo Mid setups that you feel comfortable with. 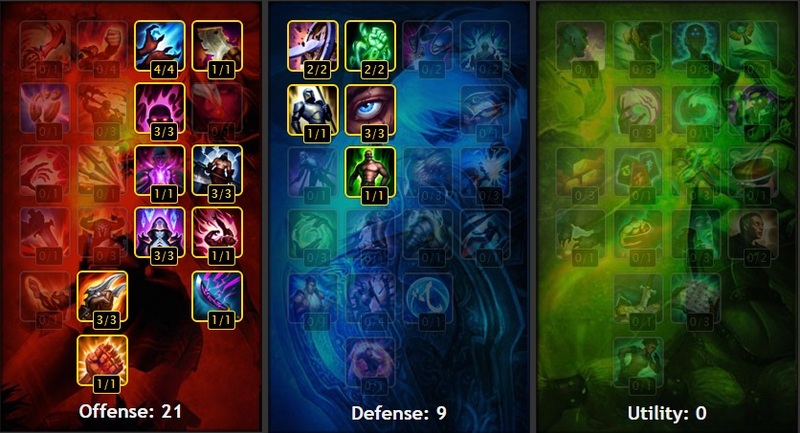 Masteries are 21/9/0 focusing on AP damage in the offensive tree and some health, armor and magic resist in the defense tree. Swap the points in defense to utility of you have a hard time managing your mana. Runes focus on defense (x4 Armor Seals, x5 HP Seals, x9 MR Glyphs) and AP damage (x9 Magic Pen Marks, x3 Ability Power Quints). Masteries are 21/9/0 similar to the Physical damage route but more on the Ability Power side. Runes are made for defense (x9 Armor Seals, x 9 MR Glyphs, x1 Armor Quint) and hybrid damage (x9 Hybrid Pen Marks, x2 Attack Speed Quins). Feel free to swap some marks or the Attack Speed Quints for Attack Damage ones if you have trouble last hitting. 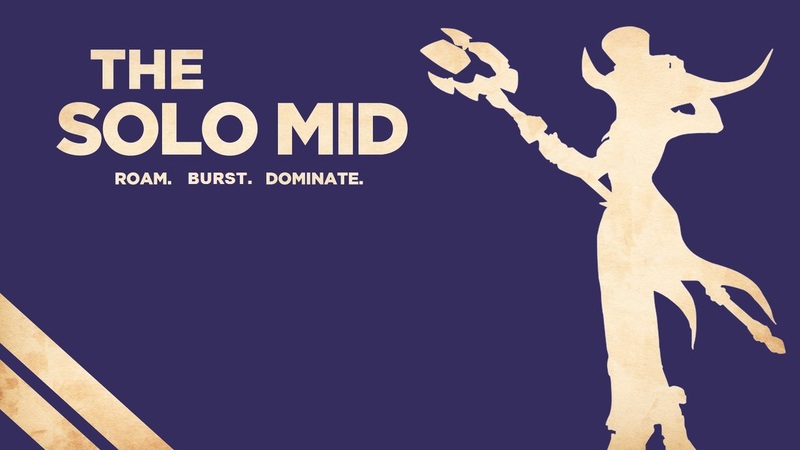 In the early stages of the game, the Solo Mid does a few things, 1) farm, 2) harass whenever in your favor, 3) take out the enemy laner whenever possible and 4) roam whenever possible. Poking aka harassing the enemy solo mid laner does 2 things. One, it forces them to play passively if they’re hurt. They don’t want to miss out on last hitting minions which means you don’t have to worry as much to trade damage and focus more on farming and two, it will force the person to go back to base if they’re low enough. If they don’t go back to base, all you need to do is burst the laner down or get some help from your jungler for a free kill and get the minion farm that remains in lane. If the enemy laner does choose to go back to base, then you can easily free farm the minion wave. In both cases you can go back to base with a decent amount of gold to buy items and have more of an edge over your enemy in lane. Of course if you clearly have an advantage over your enemy laner, you can feel free to use that. At the same time, do not get baited. Mid lane is the safest lane because it has the widest area for the laning phase. This is generally why you place casters in this lane, because casters inherently don’t have escapes as part of their kit. This being said, you can poke and stay relatively safe in you lane provided you stay on your side of the river. Once you’ve cross to the enemy’s side of the river and you don’t know where the enemy jungler is or if someone in the other lanes are missing, you essentially taking a risk at that point. Be sure to place a ward in one of the side bushes or in their jungle entrances. 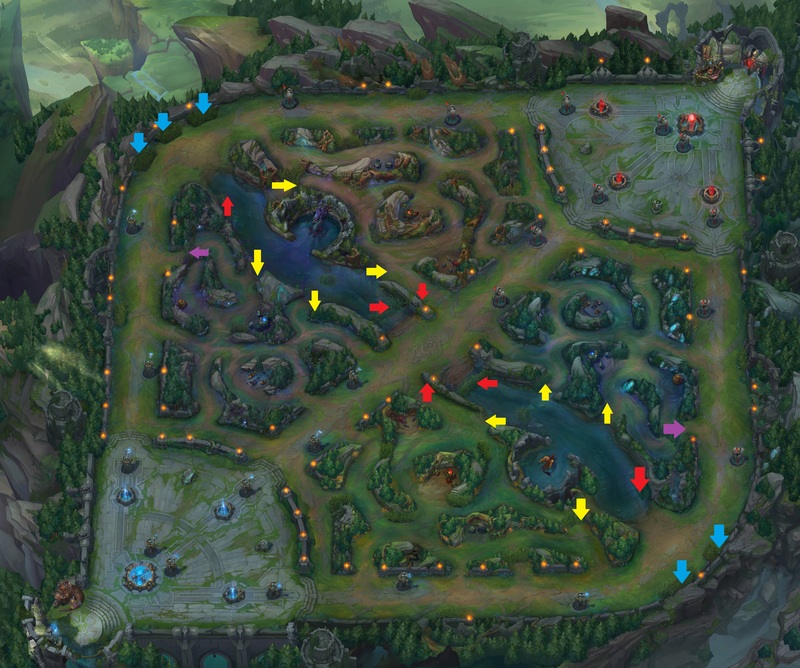 The image to the side shows some decent places to ward depending on what side of the map you’re on. To be completely safe, use 2 wards for each side of the river. Roaming is usually done when your opponent is out of lane, you’ve pushed to the enemy turret, or you’ve taken mid tower. Generally, you roam bottom lane if you think you and your bot lane can get a kill so that you can force the enemy bot lane out and then you can possibly go for the Dragon. If you can’t get Dragon, you at least help your bot lane snowball a bit more. 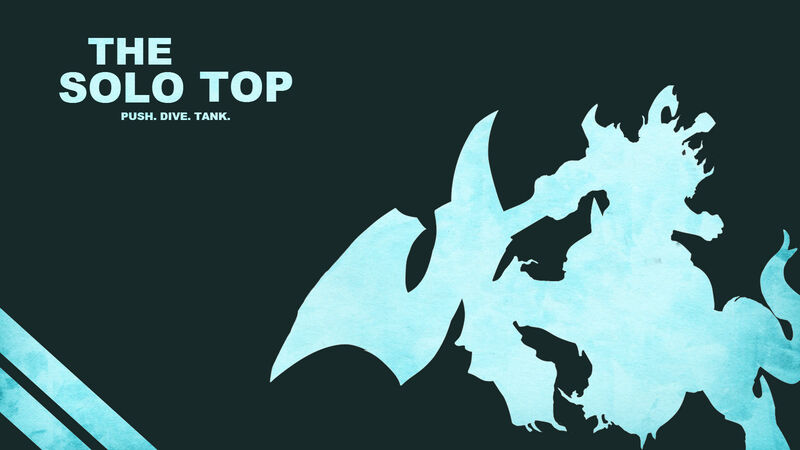 You can also roam top if your top laner is having a hard time. This is really simple. As a Caster or an Assassin, you want to lay out your skills quickly so that you can either get a kill or force the enemy to retreat. This is done before the enemy can react whether it be from a global assist (Shen Ultimate) or the enemy jungler coming in to help. To figure the best way to burst is to know the champion you’re on in order to achieve the max amount of damage. So you may want to do a bit of practice on some champions you’d like to play in mid lane or at the very least check your damage of your skills (highlight over them), compare it to the enemy laner’s health and see if it’s possible to get a kill. Keep in might you have to factor for resistances and summoner skills. Also, you should also try to prioritize getting at least one strong ability power item if you’re on a caster or a strong sustain item if you’re on an assassin. Well the title says it all but I’ll go into a bit of details. You’ll want to burst an opponent down but from complete surprise or from the fog of war. For example, you can be retreating from a one vs one but turn around when your cooldowns are done to burst down your opponent to kill them (if you think you can that is). Usually the assassins have a gap closer they can use. Whenever possible you should use that gap closer on the most dangerous and squishiest champions. Those would usually be the enemy Marksman, Solo Mid and Support. In that order, that would be the most ideal but generally the more dangerous out of the 3 you should go for first. If the enemy Solo Top isn’t tanky, you can consider that enemy as an additional option to consider. So those are the general guidelines on how to play as a Solo Mid. 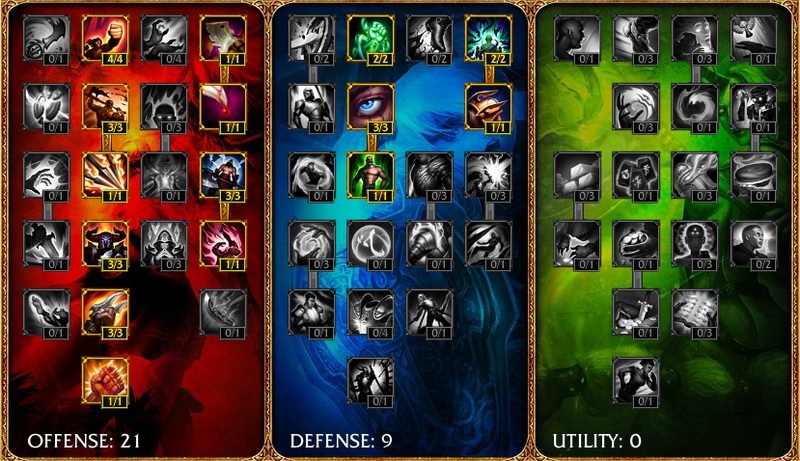 There are variations to builds due to different types of casters and assassins. Your job is to deal damage to the enemy in team fights and clean up fights. On assassins, your job is to burst out high priority targets and to clean up. Some solo mid laners have good initiations for team fights so you’ll have to position well with your team in order to get a good team fight started. As always, feel free to comment below if you have anything to say about the guide. Have fun on the Fields of Justice! A guide on how to deal tons of damage as a Marksman in lane and in team fights. Hey all, this is my Marksman guide! This role used to be called ADC for Attack Damage Carry but Riot found that the term “Marksman” better defines this role. I’m old school LoL so I might say AD Carry or ADC instead of Marksman. So before we get started, I’ll state some reasons why learning how to play a Marksman is a good thing to learn. Massive boost for refining micro & macro mechanics – I have to say this is insanely beneficial to you. Last hitting, kiting, learning when ganks might be coming, learning how to position, learning how to follow up fight engagements, learning how to go back to base. 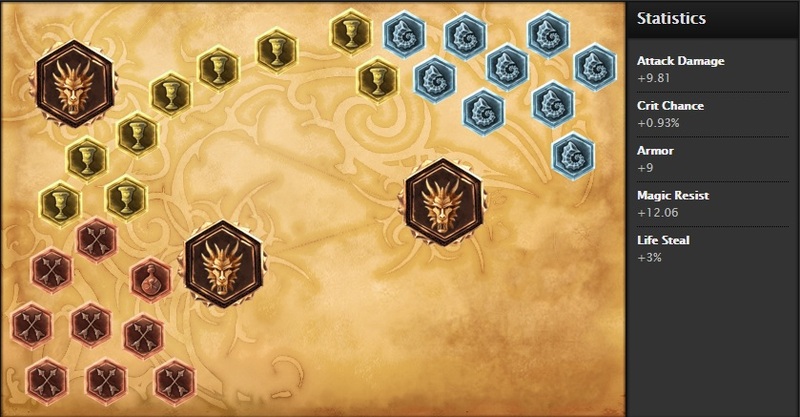 All of these are vital for a Marksman because for the first 10 – 20 minutes, you’ll have to apply all of these mechanics to survive and farm. Again, just a small disclaimer, I’m not a pro marksman, but I do have a ton of experience in all the positions. These are just some general guidelines that new players need. Berserker’s Greaves – This is the standard boots for Marksman. It offers attack speed which is needed for most Marksmen. You usually will never want another type of boots unless you play something like Ezreal or Urgot. Mercurial Scimitar – Very useful versus CC heavy teams this item provides damage and an active cleanse. You usually want Quicksilver Sash (needed to make Mercurial), if the enemy team has a lot of CC, and hold onto this item and build Mercurial as your last item. Phantom Dancer – Great for attack speed, crit chance and movement speed. A personal favorite since this item helps to ignore unit collision. Blade of the Ruined King – This is usually a pick up for Marksmen that are mid range or need that initial attack speed and damage. The active heal, attack speed buff and enemy slow really can help in some situations. Trinity Force – An all around item that grants a bit of everything which is good on hybrid Marksmen. Summoner Skills that I generally use are Flash and Heal to stay safe. Sometimes I’ll use Ignite for more killing potential. I’ll use Cleanse if the enemy team has a lot of CC. 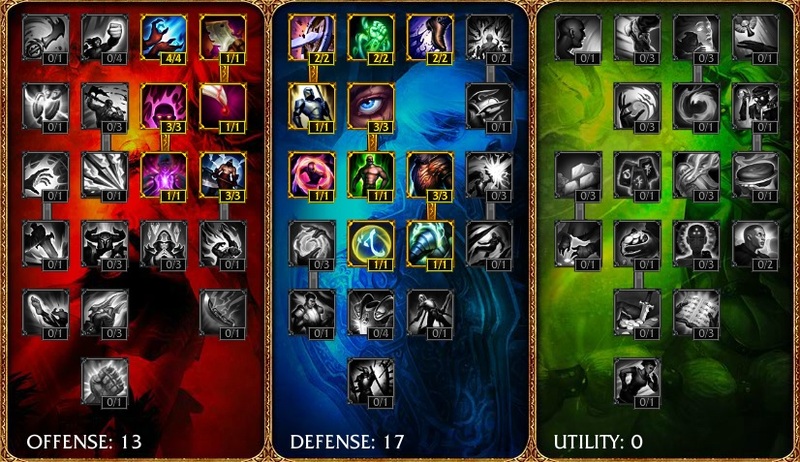 So here are my runes and masteries that I generally use for carrying as a Marksman. Feel free to use this as a base in order to make your own Marksman setup that you feel comfortable with. The masteries are 21/9/0 focusing on just damage in the offensive tree some health and resistances in the defense tree. Runes I focus on damage (x8 AD Marks, x1 Crit Chance Mark, x1 AD Quints, x2 Life Steal Quint) and defense (x9 Armor Seals, x9 MR Glyphs). This setup helps for easier last hitting and surviving harass in the early game. In the early stages of the game it is the Marksman has one main job: farm. Marksmen are the ones who need to get a lot of farm to get the really good damage items to deal most of the damage. Simple right? I talked about last hitting in the very first part of this guide and you’ll have to apply this to farm rather well. Of course there are times where you get zoned by the enemy support or get pushed to the tower. In those cases you’ll need to find a way to gain some ground by harassing the enemy laners. You’ll also need to learn how to farm under the tower. You might be stuck there for a while till someone can go to assist you and your Support. Also, the rule of thumb you can follow for buying your first items when you back is buy items for Infinity Edge, Bloodthirster or Blade of the Ruined King. For standard Marksmen builds you want to build one of these items first, preferably Infinity Edge for the damage. Vampiric Scepter should help with life steal till you build into a stronger life steal item. As a Marksman, you are a high priority target for the enemy team. To kill that is. The enemy jungler usually spends a good amount of time skulking around the bottom lane (which is the standard lane Marksmen and Supports are in) to gank you in order for their Marksman to farm and to go buy items which will give them an advantage in lane. Sometimes wards aren’t enough to stop ganks. Heck, maybe the enemy lane you’re fighting might try to dive you even if the jungler gets spotted by a ward. So you should be ready to kite. Kiting is avoiding skill shots, AoEs and the like. Kiting is as easy as simply side stepping and attacking repeatedly to avoid that one skill shot that could have turned into a horrible problem. Attack-moving like this is called orb walking. This is especially vital for Marksmen because they are squishy (Squishy means that you easy to damage and burst down). 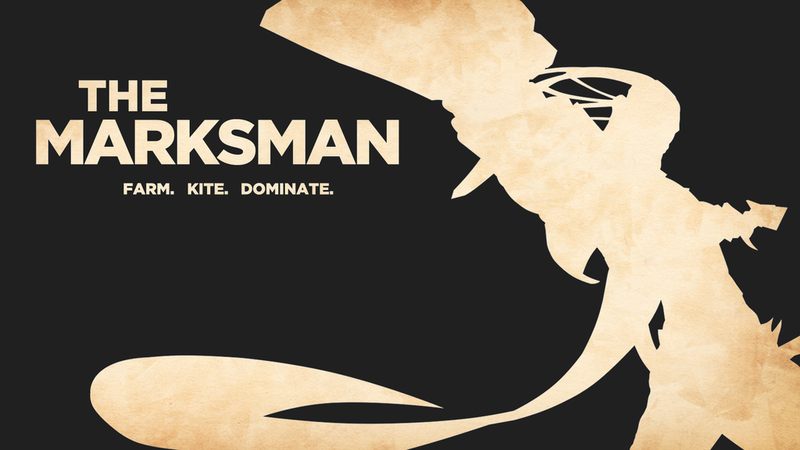 Some Marksmen have skills that allow them to kite even better. 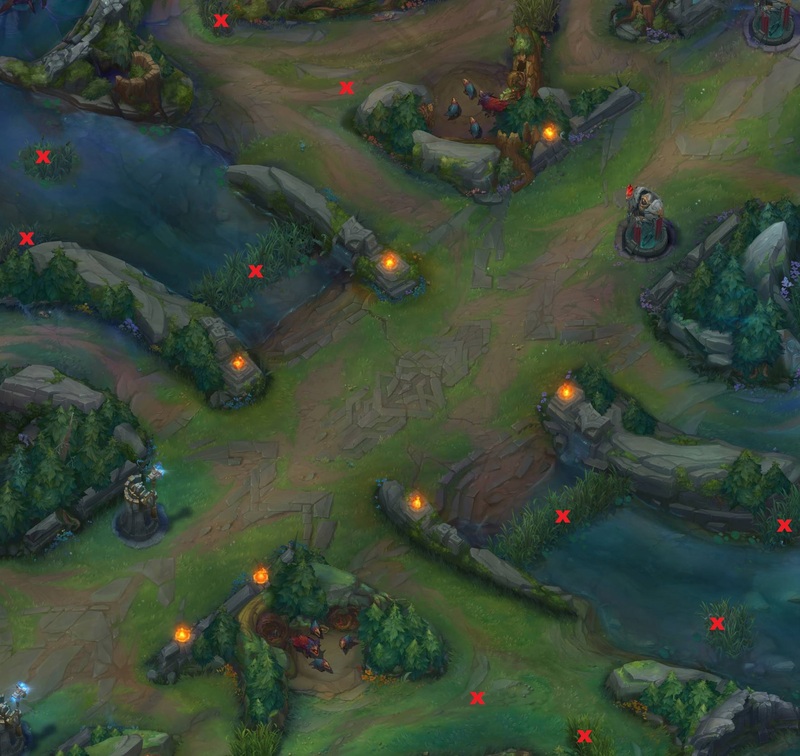 For example, Ezreal’s Arcane Shift which allows him to jump to a nearby position. Kiting should also be used in team fights. With kiting, the enemy team also wastes their skills while you and your team are doing actual damage. I think you generally know what to do here so I won’t go into much details. Remember this though. In team fights, the Marksman’s role is to stay in the back of the team and deal damage to the best enemy targets the Marksman can hit. This is because Marksman are generally squishy characters. If you can go for priority targets (enemy mid laner or enemy Marksman) then go for it. If the enemy team gets whittled down, the Marksman can advance a bit more. If the enemy starts to flee, the Marksman can move to the front and start chasing them down. Keep in mind that you should be kiting when necessary and be wary if an enemy has a chance to burst you down. So those are the general guidelines on how to play as a Marksman. 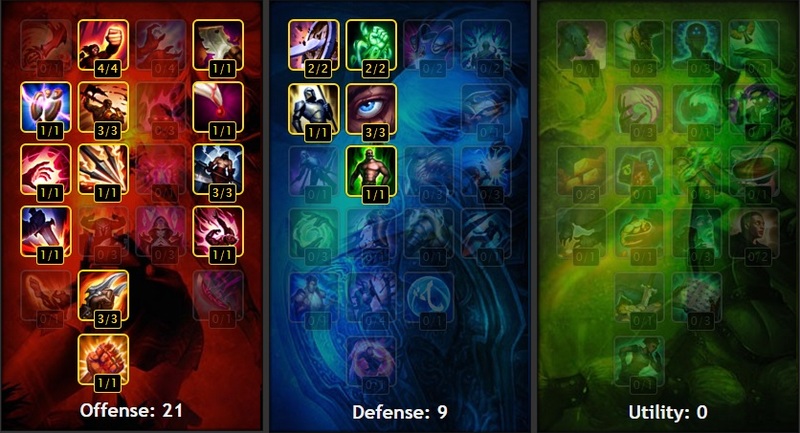 There are variations to Marksman builds and some that are completely different like the blue Ezreal build (not sure if it’s still viable, you can look that up) and Urgot. Also, if you see your team is at a standstill for engaging the other team, just be patient, you don’t have to start fights. Your job is to deal tons of damage to the enemy when the fight starts. If you start the fights start them from a safe range because if you move up to the front, you will get jumped on and then your team’s damage is greatly reduced because you’re not around. As always, feel free to comment below if you have anything to say about the guide. Have fun on the Fields of Justice!